This style is smooth, sleek, chic, and easy to recreate. 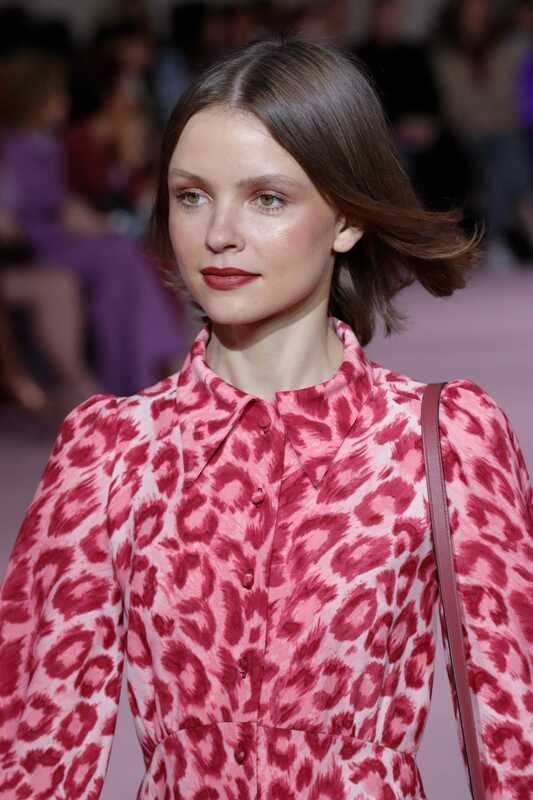 NYFW has been all about the revival of the 70s, and we’re loving it! We’ve been seeing volume, loose waves, tight ringlets, and now at Kate Spade, a polished blowout. 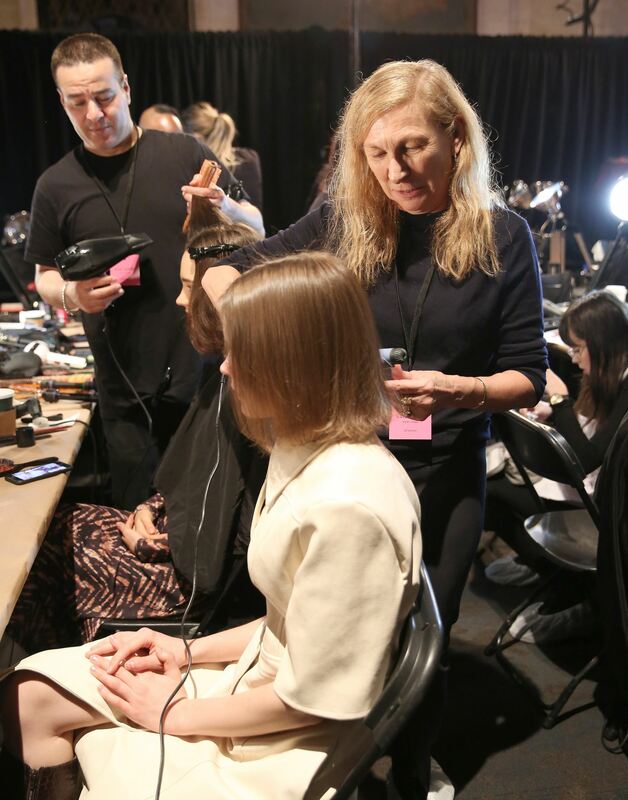 The TRESemmé hair team, led by NYFW Stylist Odile Gilbert, perfected the style they called “70s sophisticate” for the show. This look is all about creating a smooth and polished blowout with a slight inward curl at the bottom. We love how simple this look is and easy it is to recreate! 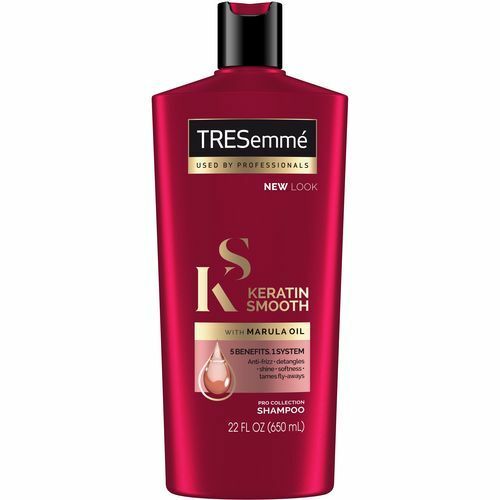 Step 1: Start by washing hair with the TRESemmé Keratin Smooth Shampoo and Conditioner to create a sleek and smooth foundation. 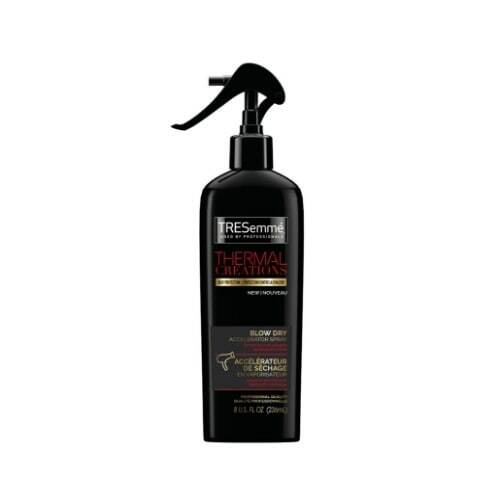 Step 2: To start your 70s sophisticate look, part your hair in the center and use the TRESemmé Thermal Creations Blow Dry Accelerator Spray before blow-drying hair. 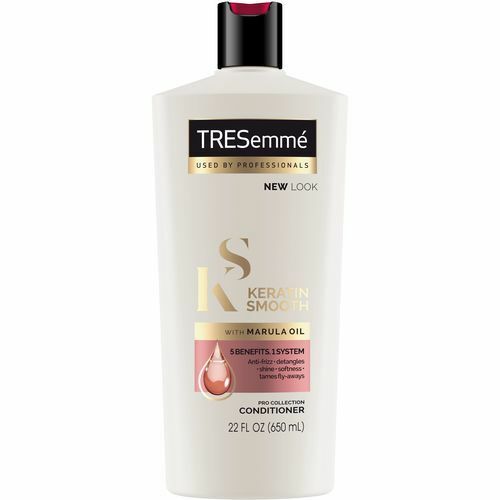 Using a round brush, pull sections of hair down firmly to create a smooth and sleek finish. 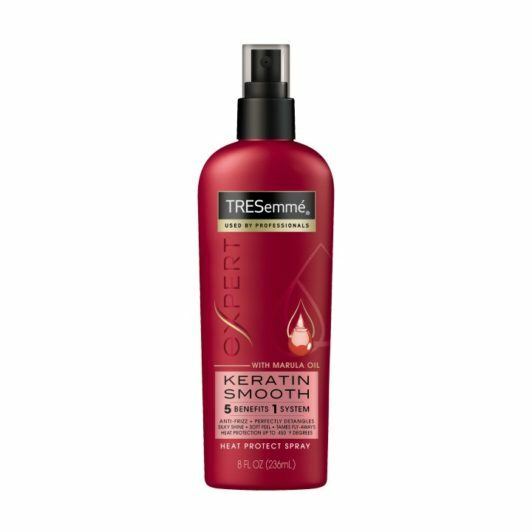 Step 3: Spray the TRESemmé Keratin Smooth Heat Defense Spray throughout to prevent damage and then use a large curling iron to gently wrap the ends of the hair inwards, creating a soft curl to add bounce and body. 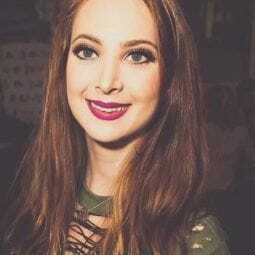 Real Girl Tip: If you don’t have time to add a curling iron to your styling or aren’t sure how to use it to create an inward soft curl, no fear! Stick to your blow dryer and use your round brush to gently curl your ends inward. Use the heat of the blow-dryer on the outside of the brush to create your curl. Step 4: Finish the look by misting TRESemmé Compressed Micro Mist Hold Level 4: Extend Hair Spray all over to keep your 70s sophisticate style in place and lock in the glossy finish, without stiffness. check out more hairstyles from NYFW F/W '19!